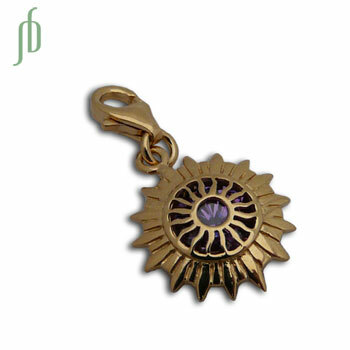 Gold Vermeil Crown Chakra Charm with amethyst colored cubic zirconia. Gold crown chakra charm with a clasp so you can add it to most of our necklaces or bracelets to make your own crown chakra jewelry or create a combination of all the chakras you want. Enlightenment. Unity. Serenity. Sterling silver crown chakra earrings with purple cubic zirconia stone.